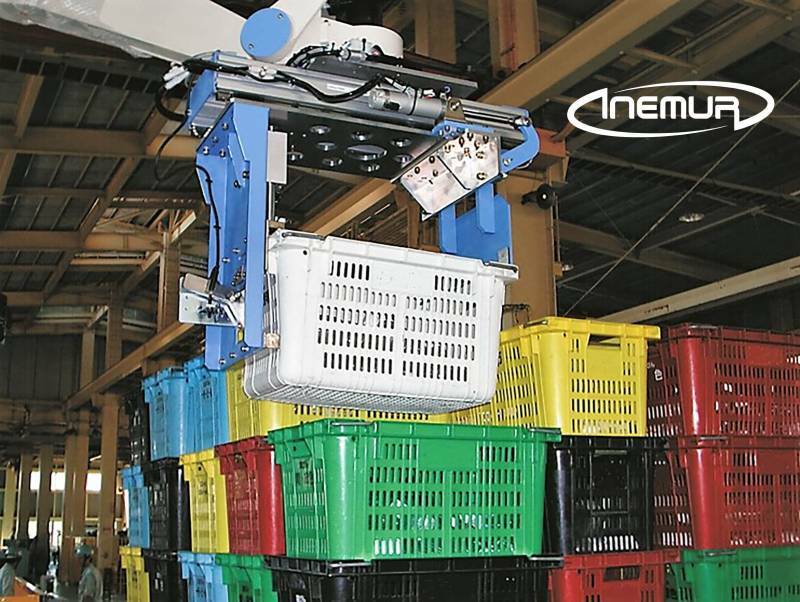 INEMUR has extensive experience in palletising packaging, stackable both in plastic and cardboard through robotic solutions. 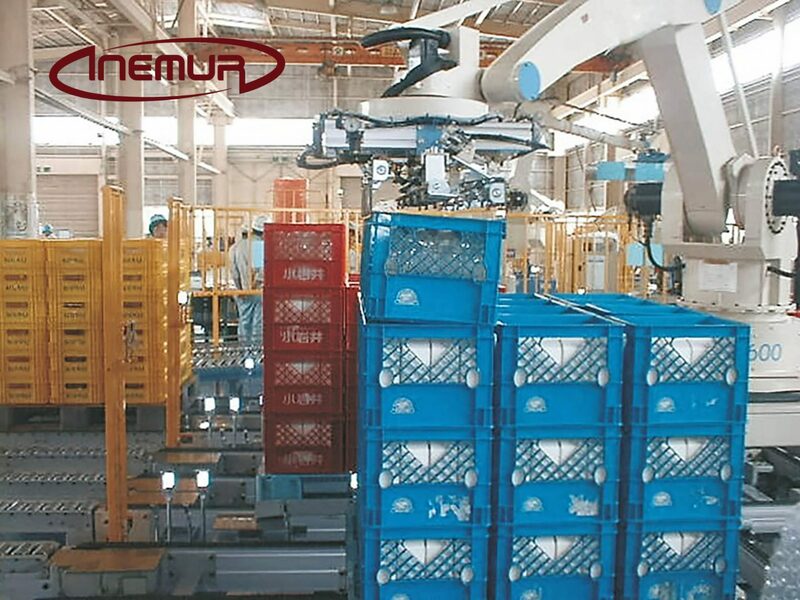 Unlike other types of applications that let you work with more standardized peripherals, trays and stackable packages they are often highly customized, requiring in each case a tailored solution on the intervention of an expert integrator in handling is especially important for this type of packaging. 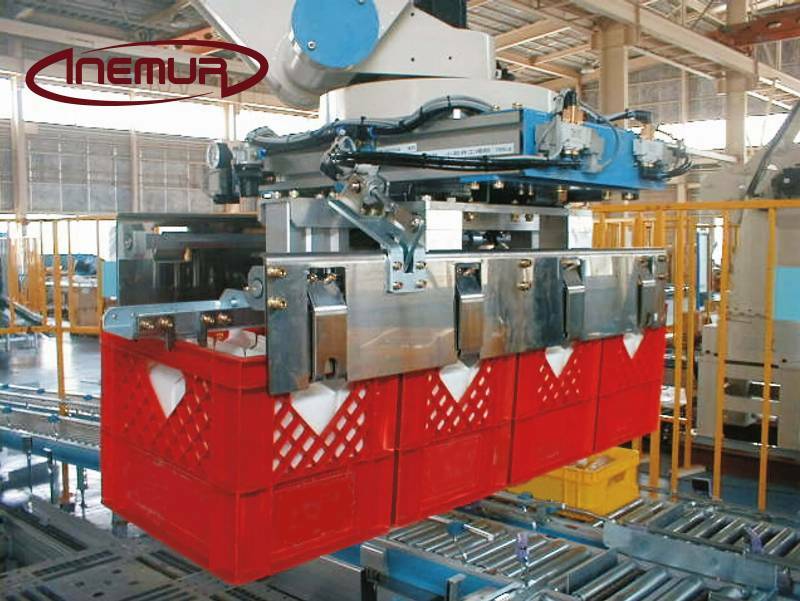 Besides having unmatched experience in this type of application, INEMUR plus has an enormous capacity to develop tailored solutions for an adaptive programming easily the most complex and giving the client full autonomy applications.